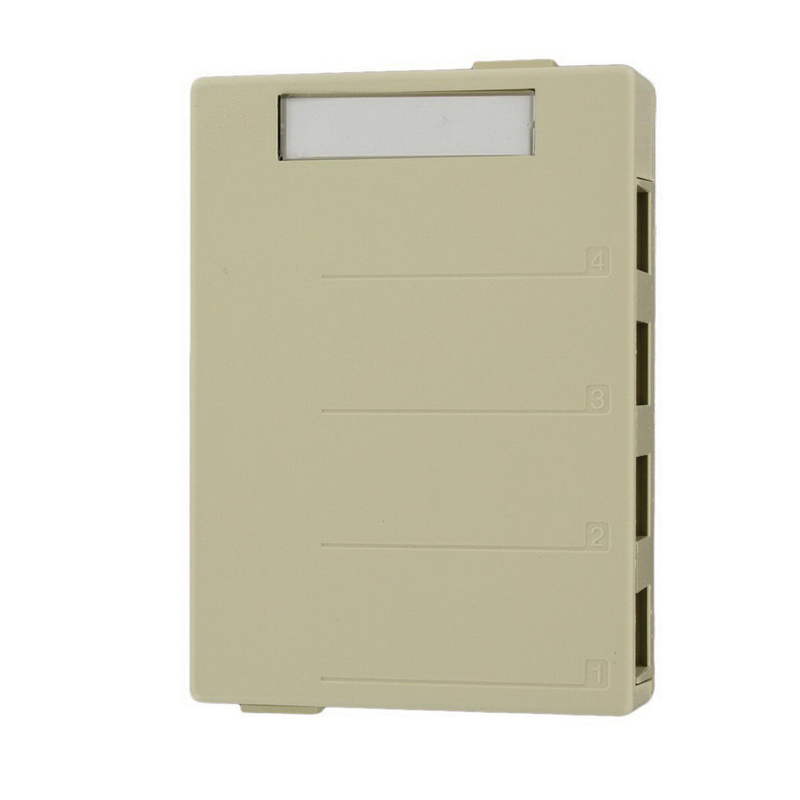 Leviton QuickPort® 4-Port Surface mount box in ivory color, features high impact flame retardant plastic construction. This box has a dimension of 4.78-Inch Length x 3.22-Inch x 1.05-Inch. It supports surface mounting for making installation easier. It is perfect for supporting voice/data applications in office, retrofit or other surface-mount environments. This box comes with two self-tapping screws and pressure-sensitive adhesive. It has flammability rating of V-0 per UL94 to withstand harsh environment conditions. Box is cULus listed, ANSI/TIA-568-C certified and RoHS compliant.